The line between fiction and non-fiction is thin and often blurry. Many non-fiction books use a narrative or other elements of fiction writing to get their information across. Mad About Mega Beasts by Giles ‘Giraffes Can’t Dance’ Andreae and David Wojtowycz uses verse to create a kind of non linear narrative. Children will meet mega beasts such as the giant manta ray, the wooly mammoth and the Siberian tiger. Tucked between an introductory verse and a rhyming conclusion, each double page spread introduces a new mega beast with a bold and bright illustration and a funny verse. Each verse includes some high level information about the mega beasts in a brilliantly child friendly way. There’s also a mini beast or two to spot on every page. A smidge larger than A4, this is a big, bold and beautiful book for children. Full of colour and fun and completely free of any gender stereotyping. 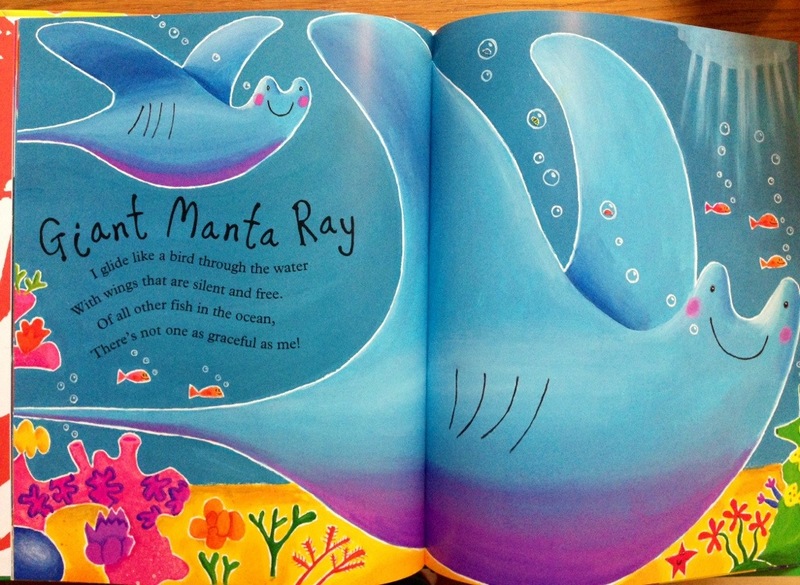 Just look at the colours used in the manta ray picture! Delicious! 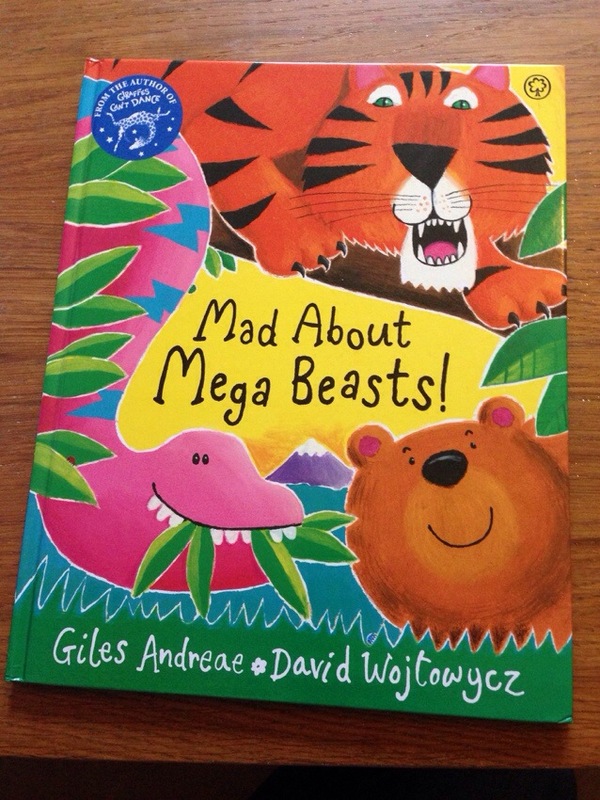 A lovely way of introducing very young children to finding-out books, Mad About Mega Beasts is the newest in a fantastic series. And my new favourite! Source: kindly sent for review by the publisher, Orchard books.